Comment: A serviceman from a well-known company inspected our furnace/gas portion of our HVAC. He stated the gas valve was not clicking on to provide gas for the heating element to provide heat. The estimate given was $979.00, including service fee of $85. Comment: I have a bank owned property that needs an HVAC inspection. Comment: I have 3 in floor vent ducts on the first floor of my townhome (hard wood floors all throughout the first floor). Not sure what is needed but I would like the inside of the ducts to be repaired / replaced (just the part that you can see). There are lots of ants coming through them. Any other suggestions are welcome. Thanks! Comment: I have 20' of brick pavers + steps I need to put heat under before I install. Schaumburg Heating & Furnace Contractors are rated 4.77 out of 5 based on 2,930 reviews of 54 pros. 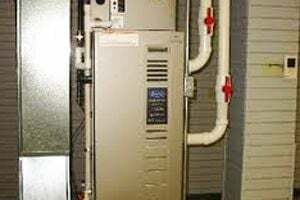 Not Looking for Heating & Furnace Systems Contractors in Schaumburg, IL?